We are eagerly looking forward to the next lifting day at the Hazelnut Inn! On that day much of the roofline of the Inn will be clearly defined. One of the three big items to be craned into place on that day will be the Underhill Suite’s skylight. As per usual (for us) it is not your typical skylight. 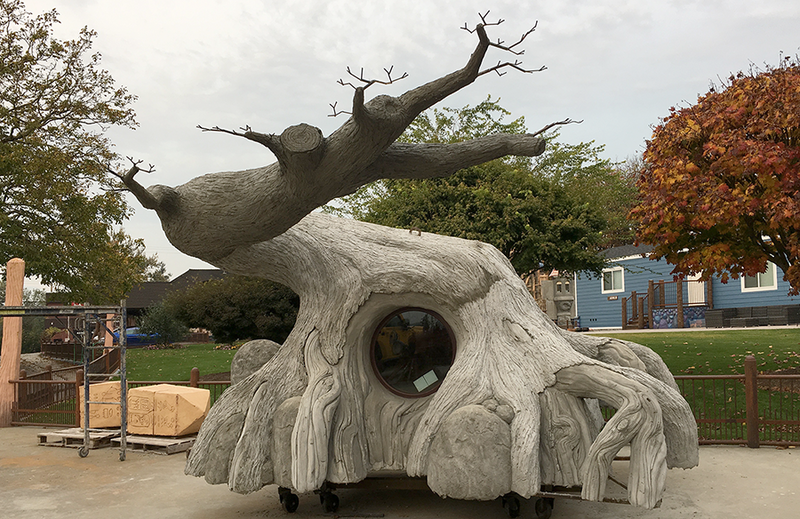 Today the crew finished the sculpting of the giant tree which will soon live on the roof of the centre suite. It’s a real beauty!